Nestled away in the rolling hills of Southeastern Ohio is a small hamlet along the Hocking River called Frost. Not visible from the state road, Frost has the look of being forgotten by time. Among its buildings stands an authentic Grand Army of the Republic (GAR) meeting hall, complete and untouched as if the old fellows just had a meeting the other night. It is a traditional hall with a meeting room upstairs, and a gathering room downstairs. The first-floor of the building is paneled with buckeye wood. It was built by GAR veterans and their sons for its intended purpose of dutiful remembrance of service for the aging boys in blue. Established as the Hiram G. Frost GAR Post #341. When the children of the boys in blue came of age, they helped establish Camp John S. Townsend #108 of the Sons of Veterans (SV). This camp has the unique history of having been named at different times for two different Union soldiers. Begun in 1888, this camp has a long history of service to the citizens of Southeastern Ohio, and continues the traditions begun by the GAR, carried on by the SV, and continued today by the Sons of Union Veterans of the Civil War (SUVCW). During General Sherman’s famous “March to the Sea” campaign, two Union soldiers from the same general area of Athens County paid the ultimate sacrifice of service to their country. Isaac Weatherby enlisted August 11th, 1862 as a private in Company K of the 73rd Ohio Volunteer Infantry. He died of his wounds on October 3rd, 1864, most likely on the campaign to capture Milledgeville, Georgia. He is buried in the national cemetery in Marietta, Georgia. 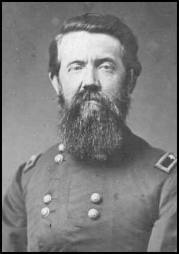 John S. Townsend enlisted on Oct. 3rd, 1861, as a private in Company B of the 53rd Ohio Volunteer Infantry. He died of wounds on June 20, 1864, at Allatoona, Georgia. Most likely private Townsend received his mortal wound at the battle of Kennesaw Mountain. He was originally buried in Georgia, but his remains were later moved to the Chattanooga National Cemetery in Tennessee. Both Weatherby and Townsend were to share some coincidences; they were both from Athens County; they both served in Sherman’s Army; they would both die during the Atlanta Campaign and finally both would be honored by their surviving comrades and families by having two camps named for them belonging to the Sons of Veterans of the Civil War, the legal inheritor of the Grand Army of the Republic. These two camps would be inter-connected with each other during this early history. Present camp records indicate that sons’ meetings were held unofficially for two years in a GAR hall beginning in 1886 before the camp charter was granted. Then on February 23rd, 1888, a new camp was chartered with the recently founded SV. Camp #108 first met in a rented hall in Guysville, Ohio, and named for the fallen Union soldier Private Isaac Weatherby of Company K of the 73rd Ohio Volunteer Infantry. The founding members listed on the camp charter are: Parrill Bean, Nathan C. Townsend, J.M. Weatherby, M.F. Thur, Wm. Willard, Whitman Bean, S.A. Parsons, Allen Secoy, Seldon Carsey, and Hiram Hall. The membership met every two weeks and kept the minutes of the meetings which are still in the possession of the Camp. Camp Weatherby held meetings in a rented hall in Guysville for three years (1888-1892). If you look at the records it is hard to tell what subjects were discussed. The records indicate monthly expenses like coal purchases for heat, membership dues, and membership status. There is a “blackball” record book of members who, for one reason or another, were “blackballed” out of the camp. At some point it was decided to build a new meeting hall jointly with the GAR and move permanently into it. Camp Weatherby would cease its existence and re-charter a camp with a new name: John S. Townsend #108. On January 25, 1892, John S. Townsend #108 was chartered with its new location in Frost, Ohio. Frost is only a few miles down the road from Guysville. From 1892 until the 1930’s this camp conducted the business of the Sons of Veterans. During the Great Depression, the camp became inactive. It’s suspected that there was no money to keep it functioning during those hard days. It remained inactive until 1997 when Howard T. Frost re-activated the camp in the Sons of Union Veterans of the Civil War. Credit must be given here to the Auxiliary of the Sons of Union Veterans of the Civil War, especially Judy Morgan, Betty Coen and May Frost, who faithfully saw to it that the meeting hall was kept in current repair. Since the re-activation of the camp, the brothers of John S. Townsend Camp 108 have spent time re-dedicating Civil War memorials, placing and dedicating new gravestone markers for veterans who never received a stone marker or for veterans who had deteriorated markers. The camp has also collaborated with the Southern Ohio History Center (formerly Athens County Historical Society and Museum) in bringing to our community and co-hosting Edwin Bearss, chief historian Emeritus of the National Park Service, for a lecture at Ohio University. The camp has also supported the Congressional bill to posthumously restore Milton Holland’s battlefield commission to captain. This African-American soldier was awarded the Medal of Honor in 1865, but his commission was rescinded by the War Department because of his color. The camp erected an historical marker at the Athens County Fairgrounds in honor of Holland. It was dedicated on Veterans Day in 2013, with a ceremony that included Townsend Camp members and African-American reenactors. Members of the camp have also presented guest lectures to other SUV Camps and fraternal organizations on the history of the Civil War and veteran services to the Union. Today Camp John S. Townsend does all it can to keep the memory of the Civil War alive. 2007-2009 Martin W. Lowery Jr.
2012-2013 M. Wayne Lowery Sr.